I became securities registered in 1991 and have broad experience in the field of investments and retirement planning. The focus of my practice is helping investors generate the most income from their portfolios while preserving their principal. I also work with individuals who are interested in growing their investments, saving for retirement, and future college funding. Most of my clients are focused on long term investing goals and I encourage taking a long term approach to investing. 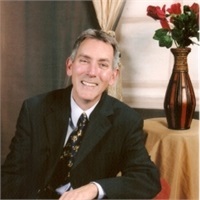 Member of the Greater San Diego Business Association. Involved with the University of California at Santa Cruz and the Francis Parker alumni programs in San Diego.